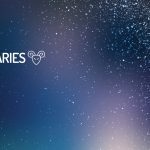 Here, you can find out more about the weekly Horoscope for Aries, from April 22nd to April 28th . Every week, WeMystic will bring you the forecast for Love and Relationships, Health and Money & Career. Love is a serious business. Singles: why did your last relationship end? Was it an absent partner or did it just break up over time? Understanding the past is the key to being happy in the future, Aries. Take some time this week to write your feelings in a diary or talk to your best friend about what you think your main problems are. The sooner you understand yourself, the better your future partner will be. Engaged: love is a serious business. There are lighter times ahead, but now you should focus on turning the negative points into positive ones. Do not insist on criticism of your partner, Aries, because there may be more unnecessary comments and further disruption. If you can stay focused on what matters until the weekend, take a break. Have some fun to release some of the accumulated pressure. Do not sign anything without checking. This week you can try to figure out a way to fill your pocket and enjoy the money too. Your mind is working overtime to get you out of any financial obligations you may have, and the Universe helps you take it to the next level and get rid of debts. Be sure to double-check all the numbers before signing anything. Your natural independence can find treacherous times now. Someone you have had a conflict with in the past may resurface as an obstacle. A wise way would be to do what is expected with as few excesses as possible. Focus and concentration is something that you tend to admire in others, being easily distracted. This week is a wonderful opportunity to choose something to focus on and go after it. Try to focus on your body by choosing a healthy habit to keep for a whole month. Increasing your water intake is a suggestion; you will definitely see results. Any health problems you have now may be due to relationships that cause difficulties in your life. You need to adopt daily habits that keep you at the peak of fitness, despite what is happening around you. The more you fit in, the less vulnerable you feel in compromising situations.